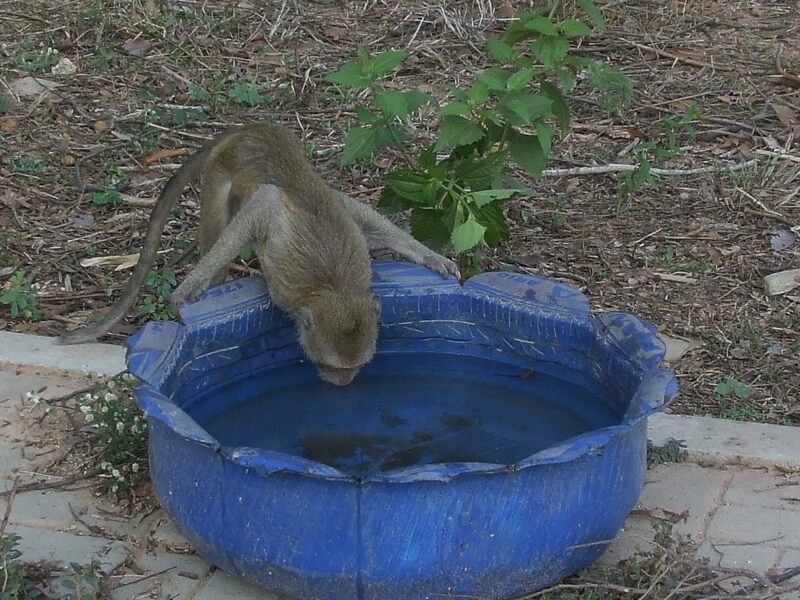 Simon particularly enjoys providing water for the monkeys. 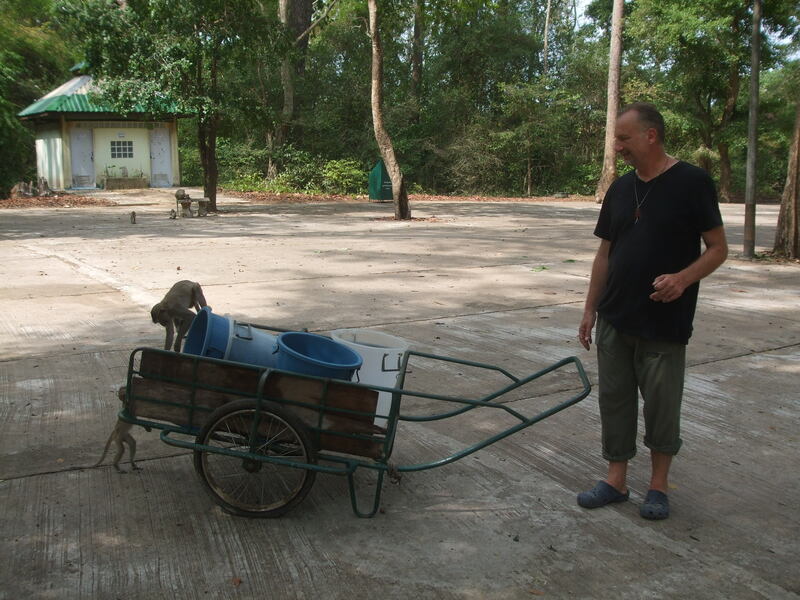 This is something we try to do every day. 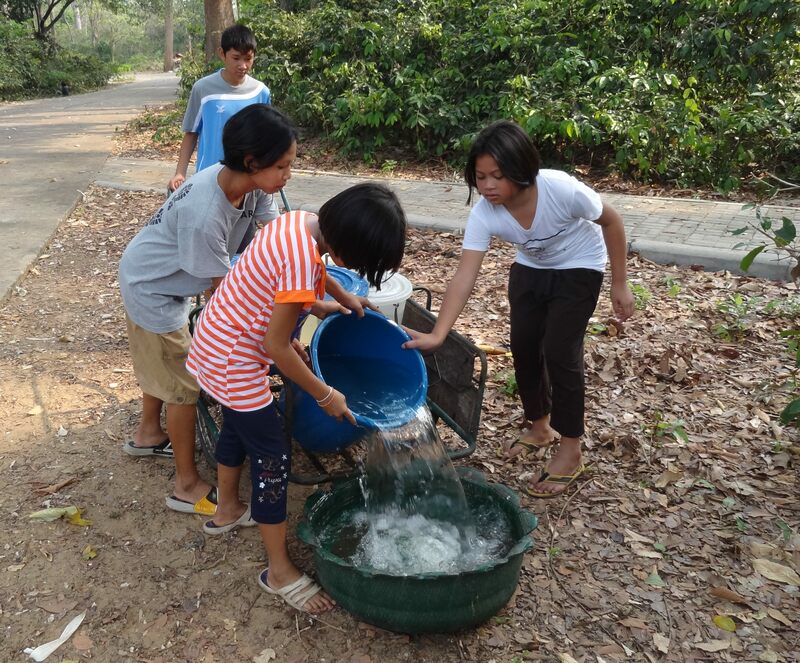 Two things can stop us: too much water in the form of rain, and too little (none, in fact) when the water supply is cut off for reasons we never learn. 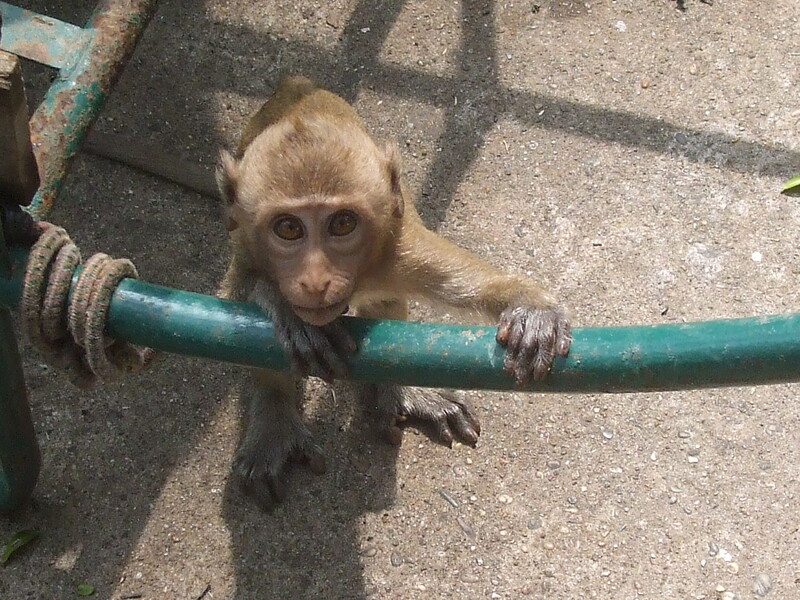 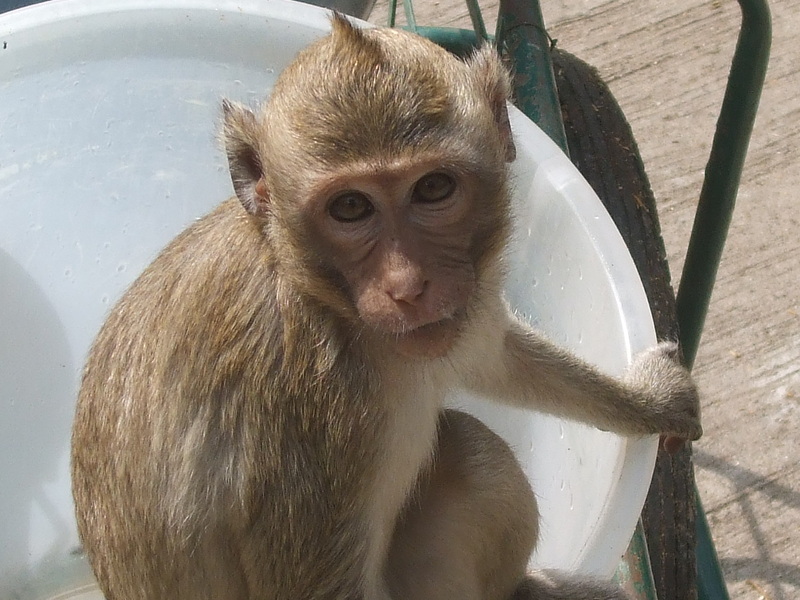 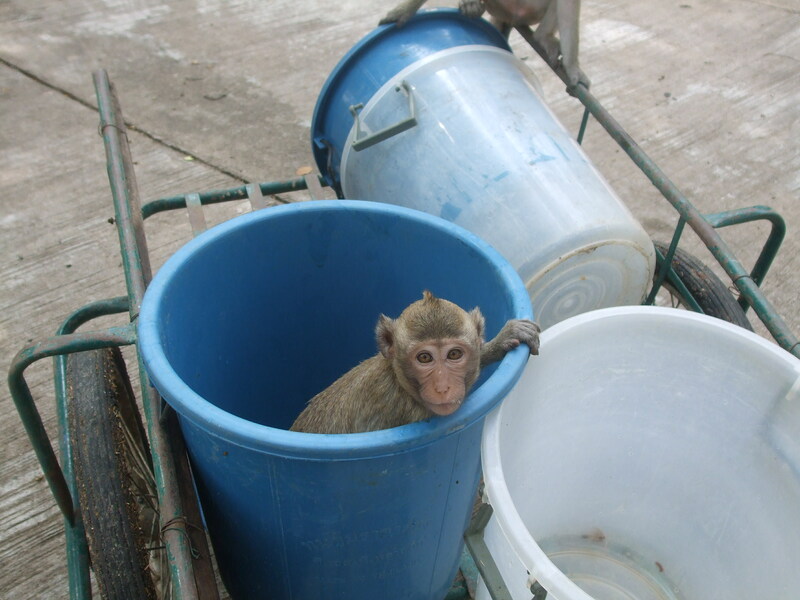 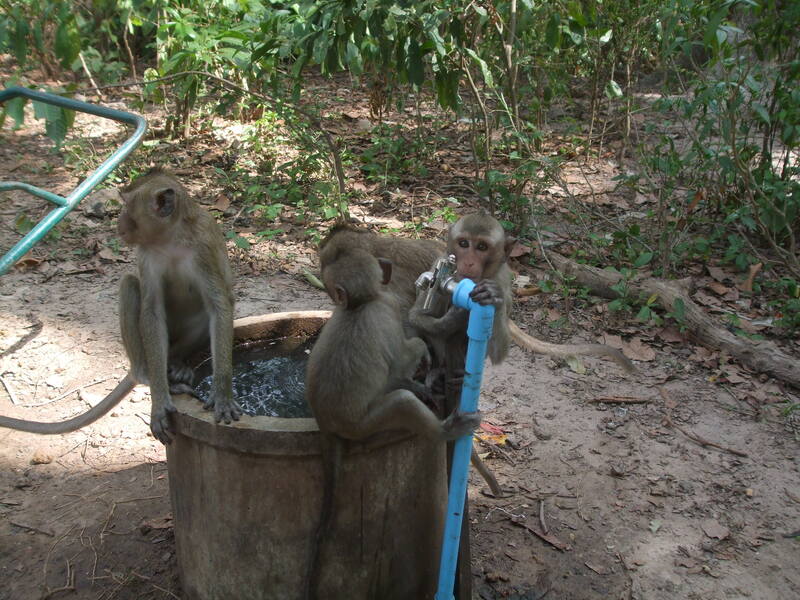 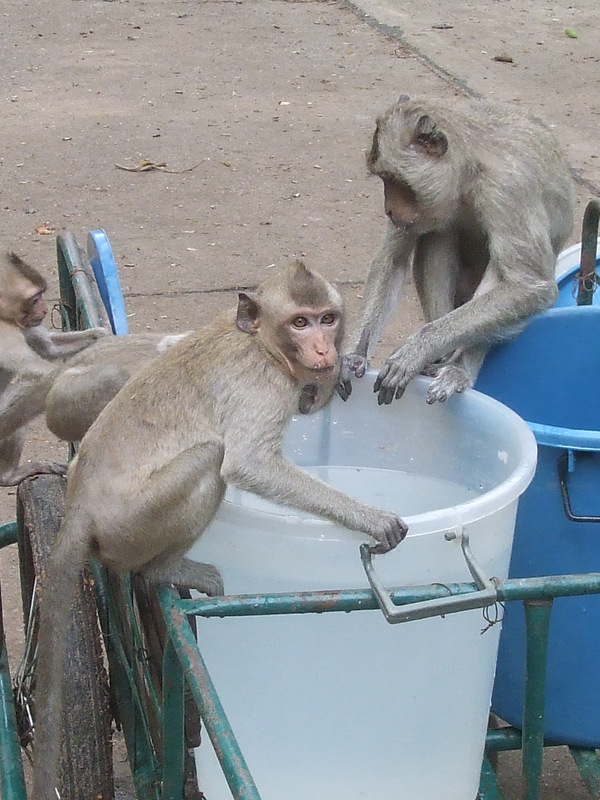 The monkeys enjoy it, too, when Simon provides them with water, but they are not very patient, as you will see. 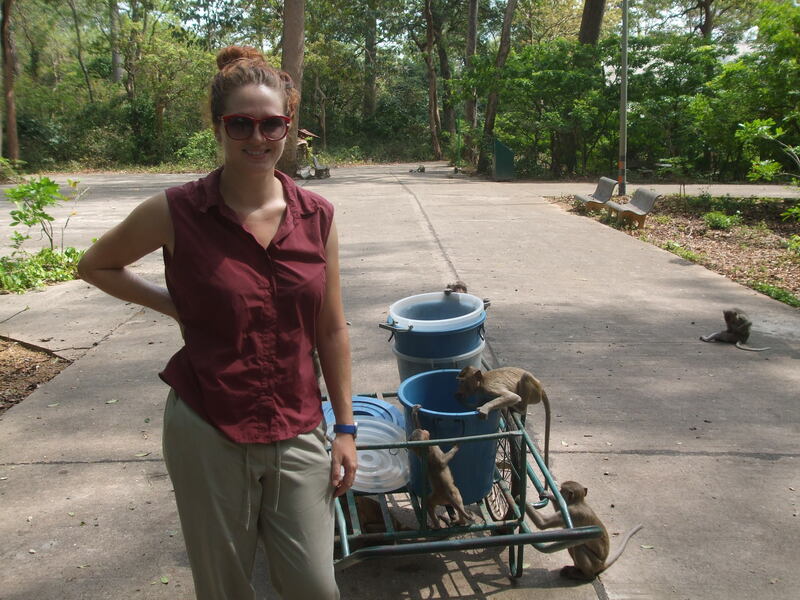 While Elizabeth is distracted by the photo opportunity, the monkeys take advantage of the parked push-cart.